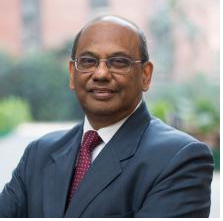 Mr.Ajay Mathur is Director General of TERI – The Energy & Resources Institute, and a member of the Prime Minister’s Council on Climate Change. I got this wonderful opportunity to interact with such an eminent personality through a friend of mine who works at TERI as a mechanical engineer. With the phone ringing and my heartbeat racing, he picked up the call and with calmness and tranquility in his voice talked to me. Just as he heard about my project and the eagerness in my voice, he was got curious to know the questions I had for him and then he diligently answered those. Very nervously I asked him about his experience in college that helped shape his professional life. In a very comprehensive manner, he narrated about the life-changing incident when after submitting the report of his professional training during engineering he got a critical feedback that in the report it nowhere showed that what had he learned from the training, how did he apply his mind, what had changed from before and after the training or what contributions he had made because his report consisted of the factual details and not the experimental. So then it made him introspect as to what was it that he actually learned from the training for himself and not just for the purpose of the report. The main agenda or the driving force behind everything he does even now is the answer to the question that what was the ‘change’ in him before and after everything he does, his learnings out of that event. The question that I personally was very curious to hear the answer for that one passion of his that helps him in becoming better at his mainline career. As all successful people do many right things to reach the top, the main things that he focused on were – READING and TRAVELLING. His profession requires learning about people and their perspectives and finding viable solutions. He does not limit his reading to a particular genre but it varies from fiction to literature sociology and he enjoys travelling which broadens the horizon of his thinking and knowledge. People look at the same things differently, different families, different countries, different companies have very different perspectives based on their own experiences and the understanding that different viewpoints can coexist and all are legitimate and then further to find a solution to the problem that is acceptable throughout this varied lot is only possible because of extensive reading and travelling. The last question asked to him that when he is looking for people for his team, apart from specific skills, what kind of attitudes and approaches he looks for in a candidate. He very promptly answered that the ability to understand and write and the ability to work with people are the two most important things that he looks for in a candidate. He explained the importance of writing skills and presentation skills though they can also be developed later. Communicating the essence of the matter is immensely important for any work to be carried out. He generally tells his employees to write an executive summary before writing the detailed report. Interpersonal skills of a person such as how well can he get along with others, be part of a team, manage a team, interact with people outside the organization play a very crucial role in deciding his fate in any organization. On that very positive note that the call ended I was feeling inspired and encouraged. The learnings that the man had to offer left such a positive impact in my head and I got to see the world through the mind of a genius. Even if one implements a bit of what the man had to offer, I am sure it would lead us somewhere good. The article proved to be the perfect medium through which I got to interact and learn from a person of such high intellect and aura. He laid emphasis on a very primitive and a basic thing called “Understanding” – a very important element that we all tend to miss out on and forget the crucial role it plays in all aspects of life. This interaction would certainly count as one of my life-changing experiences.